The genomes of thirty-seven wild orangutans have been studied at the CNAG-CRG. This is the most comprehensive study of the genome of orangutan made so far. 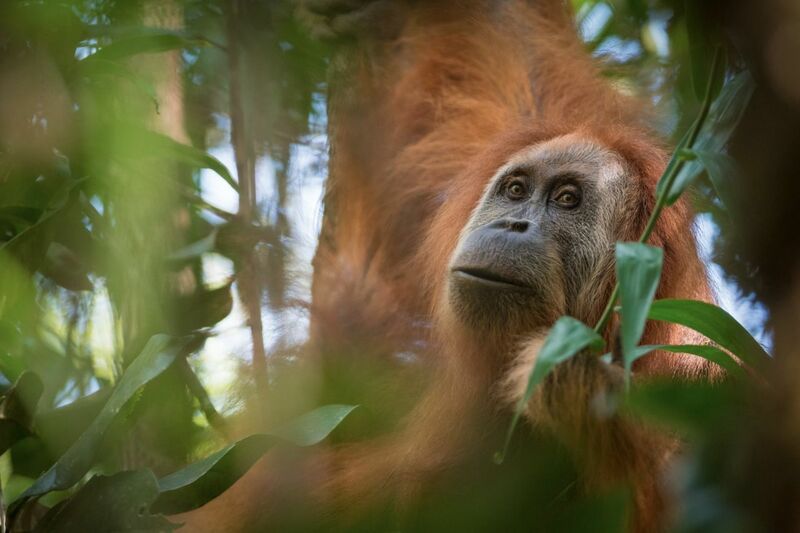 An international team has described a new great ape species, the Tapanuli orangutan (Pongo tapanuliensis), found in upland forests in the Batang Toru Ecosystem of North Sumatra, Indonesia. With no more than 800 individuals, this species is the most endangered great ape. The population of Batang Toru was rediscovered in 1997. However, it was not until 2013 when skeletal material from an adult male orangutan killed in a human-animal conflict became available, and showed the uniqueness of this population. To confirm this uniqueness the Batang Toru orangutans’ genome was studied, as well as those of thirty-six other wild individuals. This genomic data has been generated at the CNAG-CRG and it is considered as the most comprehensive study of the genome of wild orangutans carried out so far. Extensive computer modelling aimed at reconstructing the population history of orangutans, revealed that the Batang Toru population appears to have been isolated from all other Sumatran populations for at least 10-20’000 years, after which the low levels of influx of males from the northern populations had ceased. Adding additional evidence based on behavioral observations and ecological surveys from Batang Toru and other sites provided further support for the morphological and genetic findings.